Welcome to Our Restaurant, Where Memories and Good Food Come Together. We offer Three locations in the Bay Area, Benicia, Hayward & Oakley. Our restaurants offers contemporary Italian cuisine in a charming atmosphere. Our Hayward Restaurant is in the heart of downtown & offers a full bar service. come try some of our delicious homemade pizzas. room for all your special occasions. We offer homemade bread, pastas and desserts. We also have daily Lunch & Dinner Chef Specials. We recommend making a reservation. 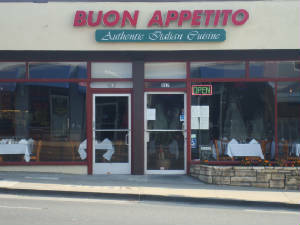 When in Martinez, please visit our Sister Restaurant, Mangia Bene.